A unique and brave traveller joins us today - Geri Winkler from Austria. He is the first insulin-dependent diabetic to reach the summit of Mount Everest and, as far as we know, to conquer all 193 UN Countries. Read more about him in his wikipedia entry. Geri, tell us something about your early years and Geri the non-traveller. I was born and grew up in Vienna, Austria. I studied mathematics and became a High School teacher in Vienna. In Austria we have 9 weeks of vacation in a row during summer time. This gave me a lot of possibilities to travel. A couple of times I used the possibility to take a Sabbatical which gave me much more free time. As a teacher, a Sabbatical means you take a whole school year off. In 1984 I became Type 1 diabetic. This means I have to inject insulin every time when I am eating or drinking carbohydrates. Additionally I have to measure my blood glucose level 5-7 times a day by taking a drop of my blood. My first long distance trip took place in 1983 when I could afford a flight ticket for the first time. Then every year I had flights to different destinations in the World. In the first years I always had the Lonely Planet guides in my backpack. Soon I discovered a good method to find the most interesting places. I took a map and the Lonely Planet guide and compared them. To those regions not mentioned by the Lonely Planet guide I had to travel - and really travelling there were the most interesting parts of my travels. With this way of choosing my travel destinations I experienced a lot of fascinating months on the road or on a hiking path. That does not mean that I ignored every place mentioned by travel guides but I think I have found a good combination of sights and very remote (not mentioned) places. 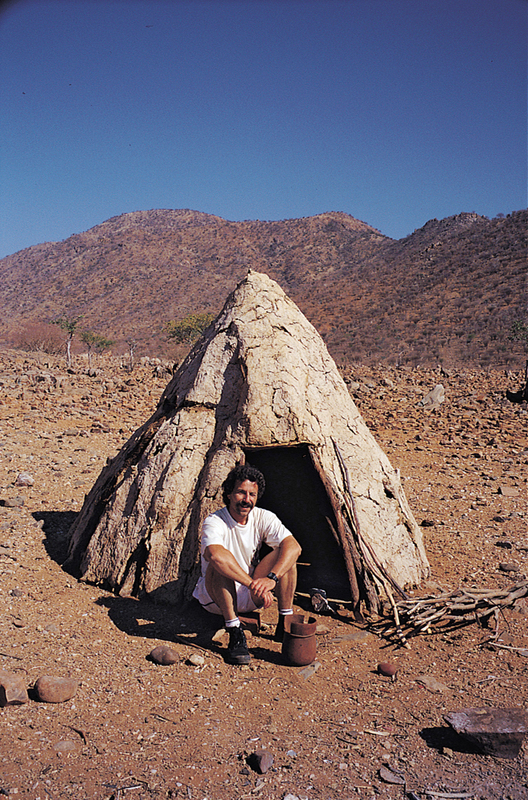 In front of a Himba hut in Angola. Tell us about the moment you decided that you wanted to be a ‘country collector’. Most of the countries in the World I have travelled to more than once. I never decided to be a country-collector. I am mostly interested in climbing mountains all over the World in completely different regions, in hiking trekking routes or in discovering countries with my bicycle. 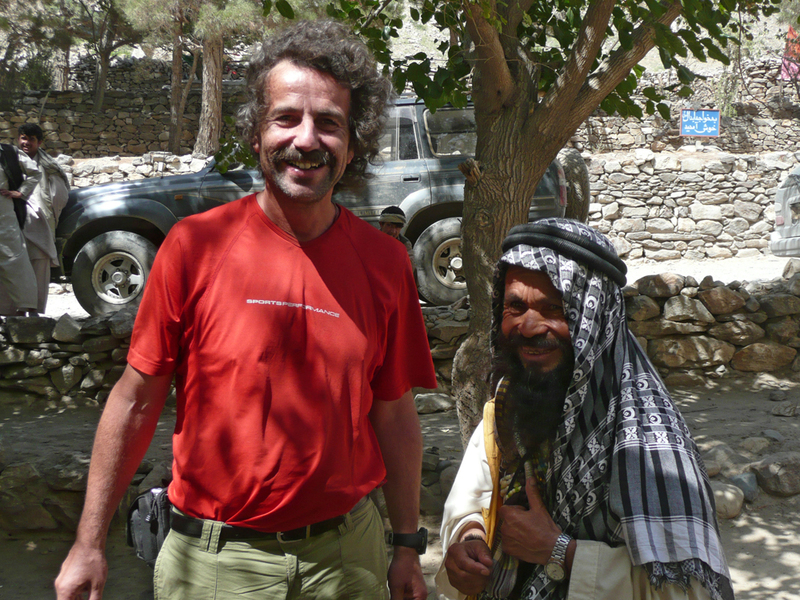 When I climb a mountain, I also want to explore the nature and culture of the region around the mountain. 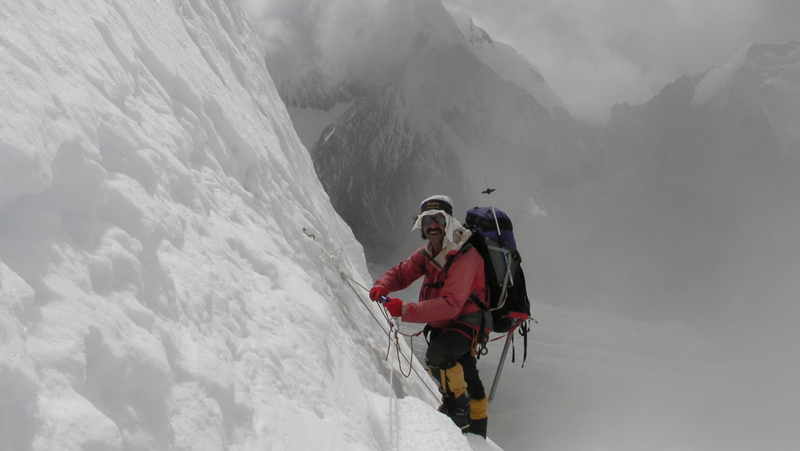 I have climbed the Seven Summits and in 93 countries I have climbed to the highest point. In many more countries I have tried to do so or have climbed one of the major mountains of the country. When I climbed Mount Everest I started my ascent at the shores of the Death Sea in Jordan, the lowest point on Earth. 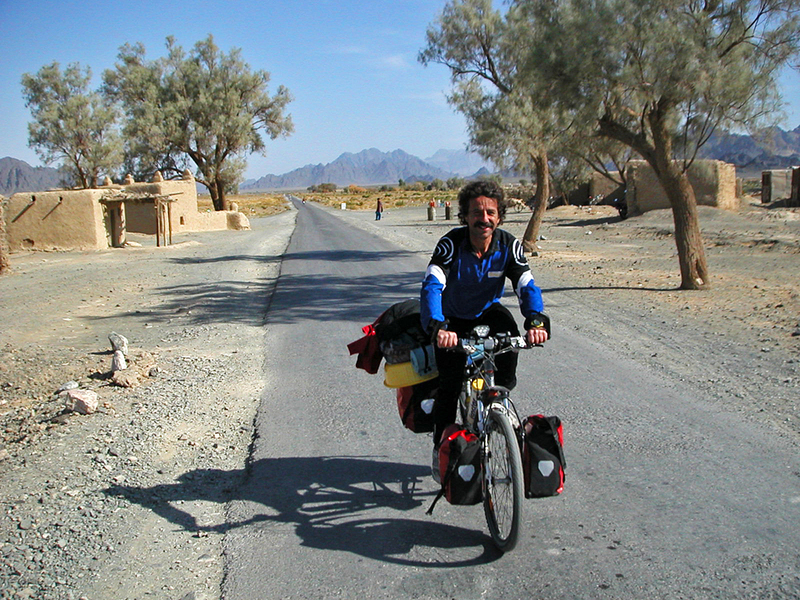 From there I went all the way, more than 8000km, to Nepal with my bicycle. Then I continued on foot to the base of Everest where I joined an American Expedition and climbed to the top. Carstensz Pyramid, another one of the Seven Summits, situated on the island of New Guinea, I climbed within one week. But I stayed half a year on the island, most time trekking to remote Papuan villages. In this area the people were much more fascinating than the mountain. Having visited every country in the World was more or less a side effect of my interest in climbing mountains. In 2016 I realized that I have travelled to almost every country, just 11 countries missing. At that time I had a surgery in my left leg which meant that I could not climb for a while, but I could continue to travel without doing hard exercise. So I decided to visit the 11 remaining countries. I completed that 10 months later in September 2017 by entering the Republic of Congo. I prefer to travel with my wife Sylvia, sometimes with my son or friends, but I have no problem to travel solo and I did it a lot of times. I don't like to travel in organized groups. What has been the most useful item you've ever brought with yourself? 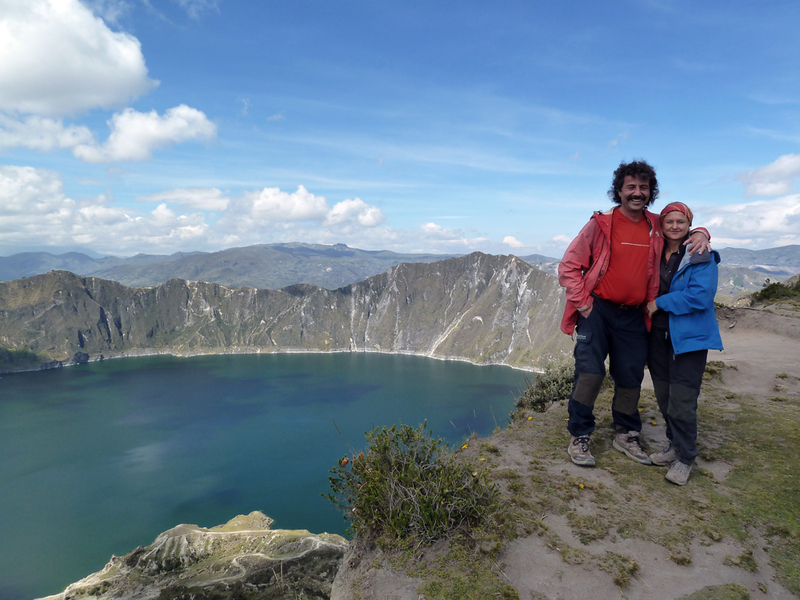 With his wife Sylvia at Laguna Quilotoa in Ecuador. I have been travelling for almost 50 years. I have heard of hundreds of different travel scams. Personally I was always lucky and did not have any bad experiences except one stolen pair of trousers which was hanging on a line to dry. And of course, there is the corruption of policemen, mostly in Africa. In general I refuse to pay the bribes, but sometimes I am not patient enough - if the amount is very small and I can accelerate the procedure by paying, I sometimes do so. Of course I shouldn't! 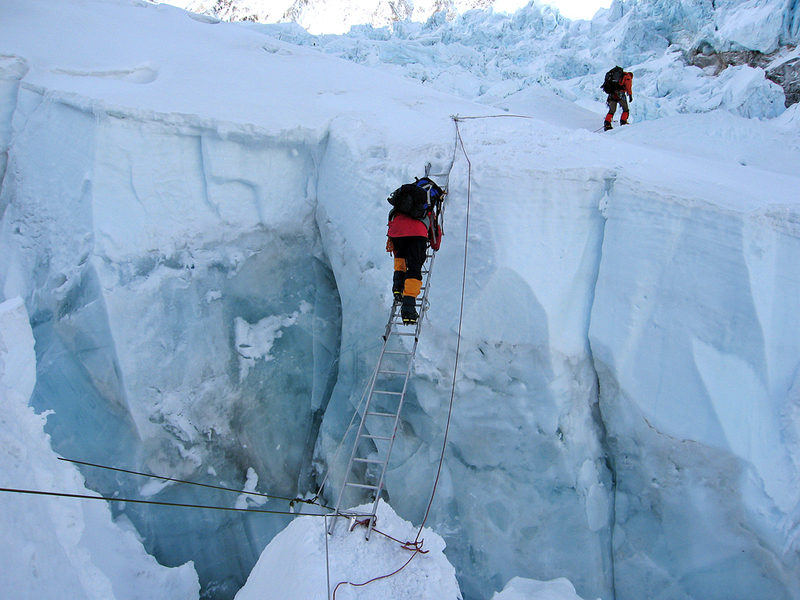 Traversing a crevasse on Mount Everest. Let me mention two places! The first one is the Freeport Copper Mine or Grasberg Mine in the Indonesian part of New Guinea. I had crossed this huge territory three times, always illegally. 25 years ago it was a weird place, a HiTec area surrounded by a Stone Age society. 15 years later the Stone Age has disappeared and the mine had left a ruined environment where human rights were completely ignored. The real owner of this territory, different Papuan tribes have been forced to leave the area long time ago and are currently not even allowed to cross the mine territory. The other place is the waste disposal site on Fongafale Island, the most populated island of Tuvalu. The island is 12 kilometres long and 10-400 metres wide. As the people cannot get rid of their waste, they started to dispose it on the northern tip of the island. 7 years ago this waste disposal place had already a length of 1,5 kilometres and is continually growing. If you were condemned to one national dish for the rest of your life, which one would you choose? Crossing Baluchistan on the way to Nepal. And our last question is the one we always ask - if you could invite four people to dinner from any time in human history, who would you invite any why? I would invite Jesus and Buddha. Additionally I would invite my wife and my son because I want to have my family around while talking to those two great people. In a Somba home in Benin. The photos in this interview are from Geri's personal collection and we thank him for sharing them with us at NomadMania!